February 12, 2019 — AccuWeather, a private weather company whose former chief executive is President Trump’s nominee to head the National Oceanic and Atmospheric Administration, agreed to pay $290,000 as part of a settlement after a federal oversight agency found the company subjected female employees to sexual harassment and a hostile work environment. The conciliation agreement was published in June after an investigation by the Office of Federal Contract Compliance Programs. The agreement was first reported Monday by the Centre Daily Times. The agreement states AccuWeather subjected women to “sexual harassment and a hostile work environment” and would pay out thousands to dozens of women as part of a settlement. Barry Myers, tapped by Trump in 2017 to lead NOAA, became Pennsylvania-based AccuWeather’s chief executive in 2007 and stepped down Jan. 1, agreeing to divest himself of any company ownership in accordance with an ethics pledge to the U.S. Office of Government Ethics, according to the company. His brother, Joel Myers, is founder and president of AccuWeather. February 12, 2019 — He was a Republican and a staunch conservative, but he often worked with Democrats, and won their affection. He supported the Iraq War in 2003, but was troubled by the human cost. He was one of President Donald Trump’s most outspoken critics within the GOP, and his death after a long illness leaves an unfillable hole in Congress. 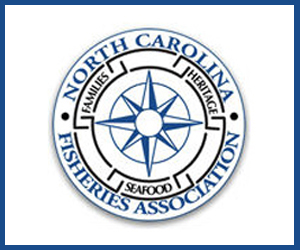 February 12, 2019 — SEAFOOD NEWS — North Carolina Representative Walter Jones passed away Sunday evening at the age of 76. Congressman Jones had been in hospice care for the past few weeks after suffering from a broken hip in January. Jones had represented the people of Eastern North Carolina in Congress and the state legislature for over 34 years and was an ally to the fishing community. 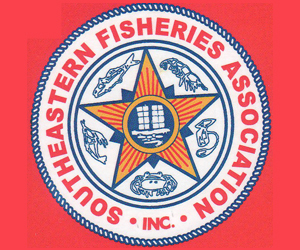 “Fishermen have unnecessarily sacrificed for years because of flaws in the existing law,” Congressman Jones said at the time. “If we can get more flexibility in rebuilding fisheries, and more transparency and accountability in management, everybody wins. Fishing stocks get recovered, and the jobs and economic activity associated with fishing can be restored. 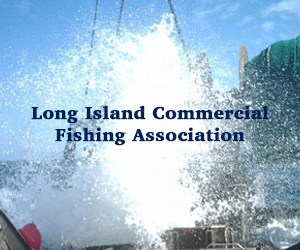 You can find more information on his work for the fishing industry here. Congressman Jones will lie in repose at St. Peter Catholic Church in Greenville, North Carolina, from 4 p.m. to 8 p.m. on Wednesday, February 13. A public funeral service will be held at St. Peter Catholic Church on Thursday, February 14 at 1:30 p.m. In response to the National Oceanic and Atmospheric Administration (NOAA) issuing five Incidental Harassment Authorizations (IHAs) which would advance permit applications for seismic air gun blasting off the Atlantic Coast, Congressmen Jeff Van Drew and John Rutherford have introduced the bipartisan Atlantic Coastal Economies Protection Act to prohibit or stop seismic air gun testing in the Atlantic Ocean. Seismic air gun testing is the first step towards offshore oil and gas exploration and a direct threat to the coastal fishing and tourism economies dependent on healthy ocean ecosystems. Congressman Jeff Van Drew has a history of working to protect the coastal economy and environment. In 2018 during his time in the New Jersey state legislature, he introduced and passed Senate Bill No. 258 which prohibited offshore oil or natural gas exploration, development, and production in state waters. “Our local economy is dependent on fishing, tourism and wildlife watching – the bottom line is offshore oil and gas drilling isn’t worth the risk,” said Van Drew. “The waters off the East Coast are home to vulnerable mammal populations, military operations, tourist destinations, and a vibrant maritime economy. Allowing seismic testing in the Atlantic is unnecessary and potentially hazardous to the coastal communities that rely on a healthy ecosystem. The U.S. should not jeopardize our coastal economy by expanding seismic testing and offshore drilling, particularly when our energy needs continue to be met,” said Congressman John Rutherford. Van Drew and Rutherford were joined in the effort by Representatives Chris Smith (R-NJ), Joe Cunningham (D-SC), Brian Mast (R-FL), and Donna Shalala (D-FL). The bill was also endorsed by a variety of stakeholders ranging from local chambers of commerce and fisheries organizations to conservation and environmental groups. 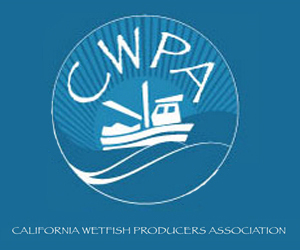 February 7, 2019 — More than 120 seafood industry leaders and other aquaculture proponents have signed on to a letter that was sent to members of Congress on Wednesday, 6 February, urging federal lawmakers to open up opportunities for offshore fish farming. 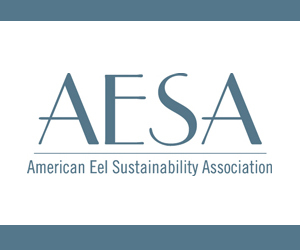 The letter, sent to legislators by Stronger America Through Seafood, said House and Senate members plan to reintroduce updated versions of the Advancing the Quality and Understanding of American Aquaculture (AQUAA) Act. 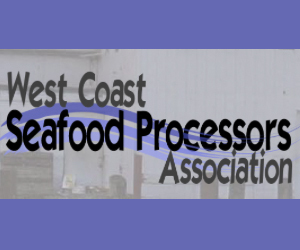 The bills would streamline the permitting process for aquaculture initiatives based in the U.S. exclusive economic zone (EEZ). The letter also said the country risks missing out on getting a piece of the growing aquaculture industry, which researchers believe will continue to grow. According to Beyhan de Jong, a Rabobank researcher, the industry produced USD 232 billion (EUR 204.8 billion) in goods in 2016. It stands to grow by another USD 100 billion (EUR 88.3 billion) in less than a decade. February 7, 2019 — U.S. Rep. Dan Webster, R-Fla., has brought back his proposal for the U.S. Commerce Department to increase regulation on the international shark trade. The bill “would require any country that seeks to export shark, ray, and skate to the US to first demonstrate it has a system of science-based management to prevent overfishing and a prohibition on the practice of shark finning” and ensure other nations “must also receive certification from the National Oceanic and Atmospheric Administration that its fisheries management policies are on par with US practices” and modifies the High Seas Driftnet Fishing Moratorium Protection Act. “By holding imports to the same standards that domestic fisheries already meet, this bipartisan legislation levels the playing field for our fishermen and helps maintain vibrant and economically-viable fishing communities, both on U.S. shores and around the world,” Webster’s office insisted. February 7, 2019 — Yesterday, the House Committee on Small Business held a hearing examining the economic impact of the recent government shutdown. 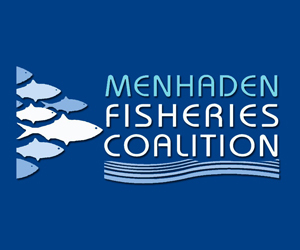 The seafood industry was among the most affected; recent testimony from fishermen highlighted how the closures of NOAA offices have prevented many of them from fishing for the duration of the 35-day shutdown. 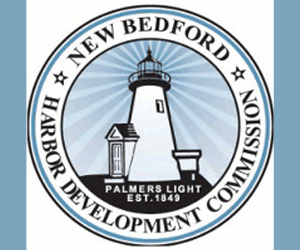 The U.S. Chamber of Commerce praised the decision to hold the hearing, writing in a letter to the Committee that a government shutdown “is not something businesses large and small should have to worry about.” The letter cited, among others, the experience of New Bedford, Massachusetts captain Jack Morris, Director of Vessel Operations for the F/V Madison Kate. Captain Morris, at a January 25th Chamber event, recounted how the shutdown prevented a routine license transfer between two of his vessels, keeping an entire crew off the water and without pay until NOAA offices reopened. Saving Seafood recently spoke with both Captain Morris and Captain Justin Dube, also of New Bedford, about the effects of the shutdown. February 5, 2019 — President Donald Trump is nominating David Bernhardt to be Interior secretary, a move that puts a former oil lobbyist on track to take over the Interior Department. If confirmed by the Senate, Bernhardt, the deputy secretary, would succeed Ryan Zinke at the helm of the Interior Department, an $11 billion agency that oversees drilling, grazing and other activities on public lands. Bernhardt has been acting secretary since Zinke left the Trump administration in January amid mounting federal investigations into his travel, political activity and potential conflicts of interest. Trump announced the nomination on Twitter Monday. The choice echoes Trump’s decision to put a politically savvy lawyer, Andrew Wheeler, in charge of the Environmental Protection Agency after the departure of the president’s scandal-plagued first EPA chief, Scott Pruitt. Like Zinke, Bernhardt is expected to continue charting a pro-energy course at Interior, having already played a leading role in shaping department policies to expand drilling, make sure economics are factored into endangered species decisions and alter the way the government analyzes the environmental consequences of projects. February 4, 2019 — A bipartisan group of U.S. senators from the Pacific northwest filed a bill last week that would require any salmon produced through genetic engineering to be labeled clearly as such on its packaging. The bill, filed last week, comes a month after the Department of Agriculture published its final rule requiring producers, importers and other entities to reveal information about bioengineered products and ingredients. However, critics panned the measure saying companies could use digital QR codes, which would require a smartphone to scan, or list a toll-free number to meet the obligation. Among those critics is U.S. Sen. Lisa Murkowski (R-Alaska), who along with cosponsors U.S. Sens. Dan Sullivan (R-Alaska), Maria Cantwell (D-Washington), and Jeff Merkley (D-Oregon) filed the Genetically Engineered Salmon Labeling Act on Wednesday, 30 January. The two-page bill says the legislation would ensure buyers can make “informed decisions” when buying salmon.